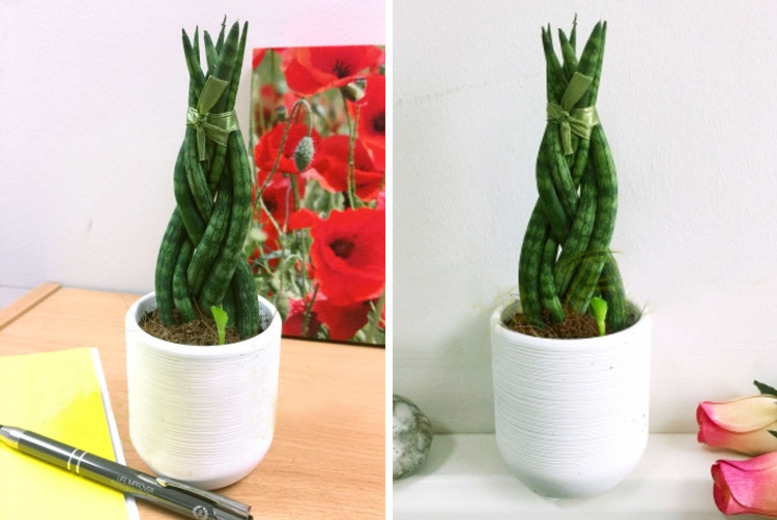 Get a Sansevieria Cylindrica braided snake plant. Includes a 10cm white ceramic pot. Delivered at a height of 15-20 cm (including pot height). With rounded leaves featuring a dark green striped pattern! Easy to care for and requires minimal watering. Perfect for your home or office!